Version 1 is a camisole with crossover yoke. 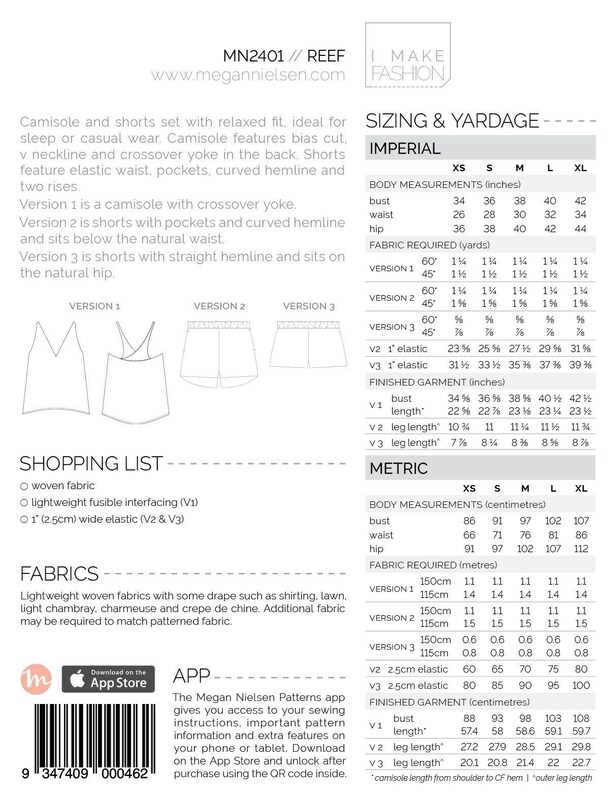 Version 2 is shorts with pockets and curved hemline and sits below the natural waist. Version 3 is shorts with straight hemline and sits on the natural hip. Sizing: XS-XL (each pattern includes all sizes). Your pattern envelope includes the full size pattern on high quality tissue paper and beautiful instruction booklet with detailed instructions to guide you through constructing your garment.